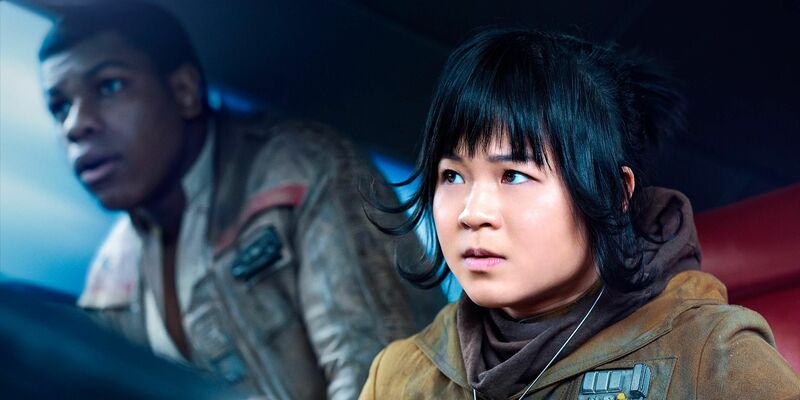 As it turns out, we saw one of Star Wars newcomer Rose Tico’s closest comrades in the Resistance died in The Force Awakens, which might inform her upcoming journey in The Last Jedi. 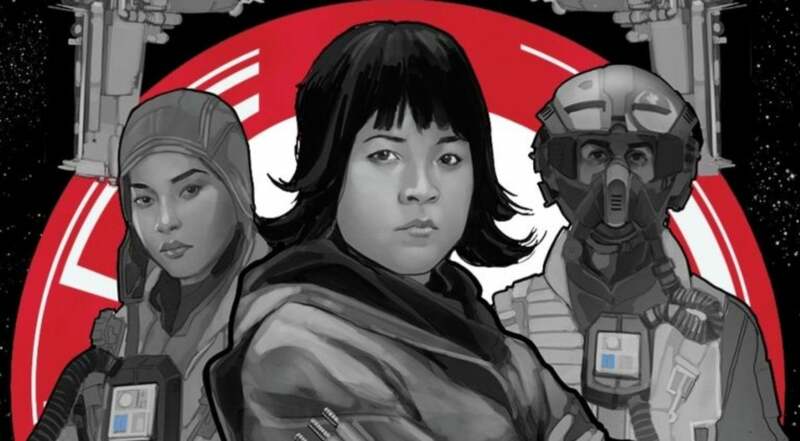 An upcoming Star Wars tie-in novel due out December 15, The Last Jedi: Cobalt Squadron, promises to deliver “the harrowing story of the courageous bomber pilots and technicians of Cobalt Squadron.” On the cover, we see Rose Tico, her sister Paige Tico, and human bomber Nix. According to a Top Trumps card, Nix “attends the bomb release trigger-ready to drop the vessel’s explosive payload onto First Order targets.” The cover of Cobalt Squadron features these three, but missing is the deceased former team member Ello Asty. Ello Asty was an Abednedo Resistance pilot that joined Red Squadron for the assault on Starkiller Base, but he was shot down by ground fire during the successful trench run that ultimately destroyed the First Order base. He’s said to be very skilled, but a bit of a reckless lone wolf behind the stick. In Cobalt Squad Rose was the mechanic, Paige the gunner, Nix the bomber, and Ello Asty the pilot. Plot details are scarce about the official Cobalt Squadron novel, but it’s entirely possible that following Asty’s death in The Force Awakens, the entire squad gets split up for separate tasks. We can’t possibly know what Rose and Ello Asty’s relationship was like, but considering they worked together on the same four-person squad for what looks like several years, chances are high that she felt the loss. We know that in The Last Jedi, Rose will be on a covert mission alongside Finn and Paige will work with Poe Dameron in some capacity, so it would seem that the accompanying novel might offer up a direct prequel for the Tico sisters leading into the new movie. One thing’s for certain: Everyone in the Resistance — including the Ticos — has lost comrades in the war against the First Order, and the conflict has only just begun. Cover art for 'Cobalt Squadron' features the three surviving members. Star Wars: The Last Jedi will be released in theaters December 15, 2017.